Once more into the vault my friends, once more into the vault. Step back in time, to a time when the modcast was young and fresh. Take a giant step outside your current listening constraints and journey with me back to a not so distant past, all the way back to 2008. I've opened up the vaults and dusted off a classic modcast that I think you'll enjoy. Again. Recently a friend --we'll call him Minnesota Mark -- asked me what mod is. More than that, he asked if I could put together a short playlist of the best mod songs. And you know, I was blown away by how difficult a task that turned out to be. I found that you can't narrow down to a dozen or so the most quintessential mod songs. Not to mention it's a totally subjective thing. What I think of as quintessential mod songs will be much different than another mod's picks. And what is quintessential anyhow? Again it's pretty subjective. I think I would define the quintessential mod songs as the songs that made me a mod early on -- mostly these were the songs that I simply loved that were already considered mod songs. As I thought about it though, I realized that quintessential mod songs are also those that when I hear them they make me think mod, they make me think of the mod sound and what it means to be a mod. They need not be original quote unquote mod songs. Anyhow, Minnesota Mark's question got me to thinking: I bet there are a lot of people who'd be interested in hearing what I think are the most quintessential mod songs. At least I hope so. So, I'm going to do a periodic series of modcasts picking the dozen or so most essential mod sounds -- each time corresponding with a specific genre unique to mods, or a specific mod era. For this modcast I'm starting where you should start, at the beginning, in the sixties. Thank you to Mark for asking the question of what a mod is and what mod music sounds like and getting this ball rolling. For the early mods it really all started rolling with the soul sound. 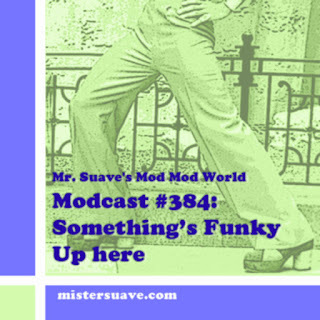 I could go back to the jazz roots of mod -- the modernists, but this modcast is only supposed be a thirty minute affair and we're already going to blow that out of the water. So, let's jump up to the modernists' next gen children; the first 'mods' as it were and their love affair with all things soulful. all things bluesy, all things dancable. This podcast just barely skims the surface of what the sixties mod sound was like, but at least it's a start. So, what are your essential sixties mod songs? I'm dying to find out from people what they see as the quintessential mod sound. E-mail me at rob@mistersuave.com and let me know. Huh. Well, I'd never put the Strawberry Alarm Clock on there. Curiously, I've just assayed this question and here's the deal as I see it. You have to make up complete playlists covering all the essential Mod ages, and that turns out to be a lot. 1. Blue Note Jazz: Jimmy Smith, Lee Morgan etc. Danceable, groovy jazz. 2. British Hammond Groups: Georgie Fame, Brian Augur, Wynder K. Frog et al. 3. Soul: This really comprises the bulk of true Mod music, I expect. You could start with Pete Couzens Mod 100. Major Lance, "Night Train," etc. 4. 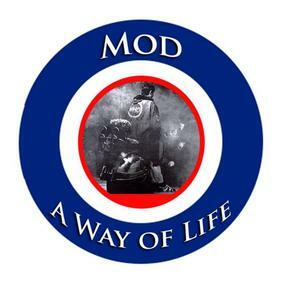 British Mod Associated Groups: The Who, The Kinks, Small Faces, The Action, The Creation. Sort of split between what people are now calling Freakbeat and more R&B groups. 5. Trojan era sixties ska and lover's rock, plus a bit of Latin Boogaloo. So, "007" Desmond Dekker and "Ali Baba" by John Holt, then "El Watusi" by Ray Barreto. 6. Mod Revival: Jam, Squire, Lambrettas, Chords, Secret Affair. 7. 2 Tone/2nd Wave Ska: Specials, The Beat, Madness, The Selector, Bodysnatchers. 8. 3rd Wave Ska: The Untouchables, Mighty Mighty Bosstones, Less Than Jake, and the rest. 9. Maybe Acid Jazz. The James Taylor Group could work here. Plus I think a lot of recently unearthed Library Music works here. It's very danceable sixties jazz influenced, lots of organ. Stuff like John Hawksworth's collection Mo' Hawk. All that Italian sixties soundtrack stuff. It's mod and it roc... MODS! Modcast #306: The Big Skacast!